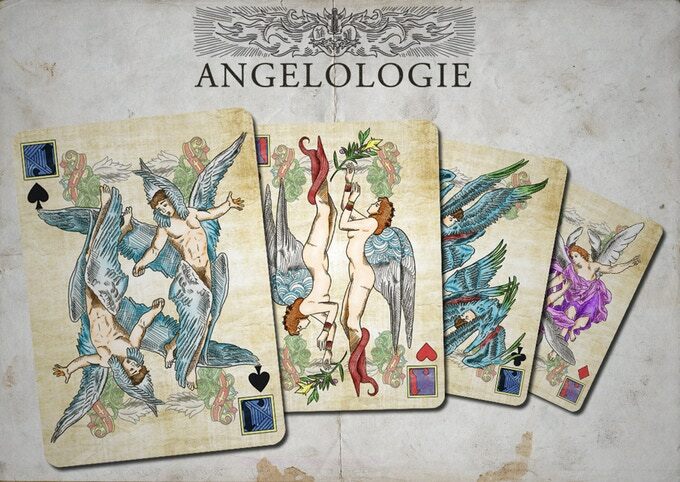 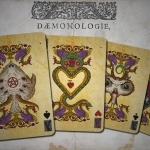 After his success Demonologie, Emmanuel Valtierra dedicates his new deck to the kindly celestial forces: ANGELOLOGIE. 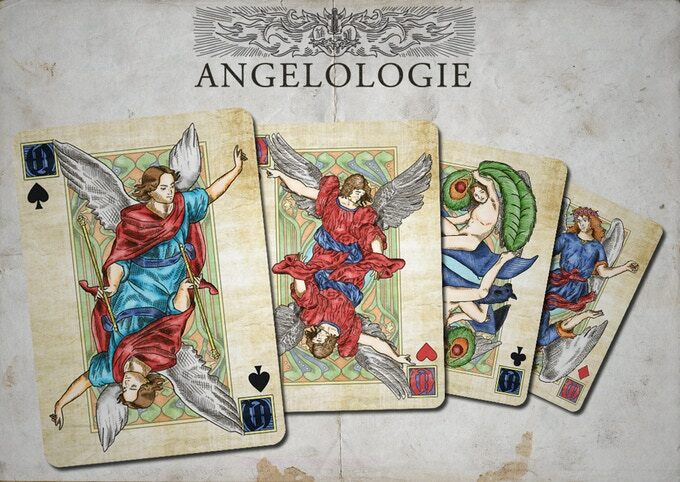 Each one of the court cards is dedicated to an angel, whose illustrations have been inspired by old books and manuscripts. 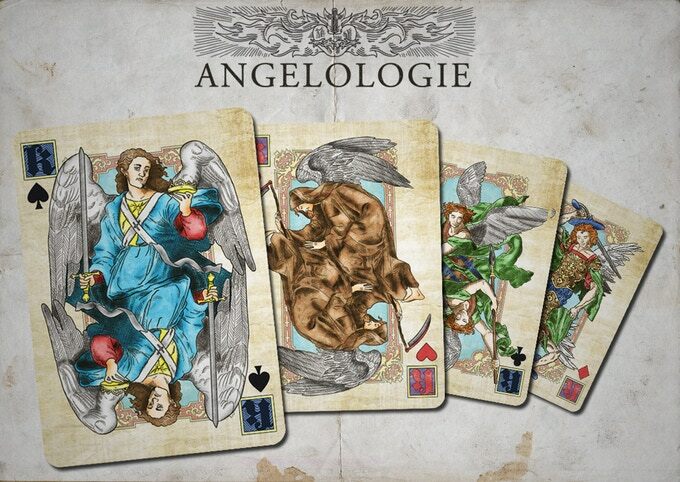 It is possible to distinguish the different artistic styles in the cards as well as historical details told through the images to describe the different winged characters. 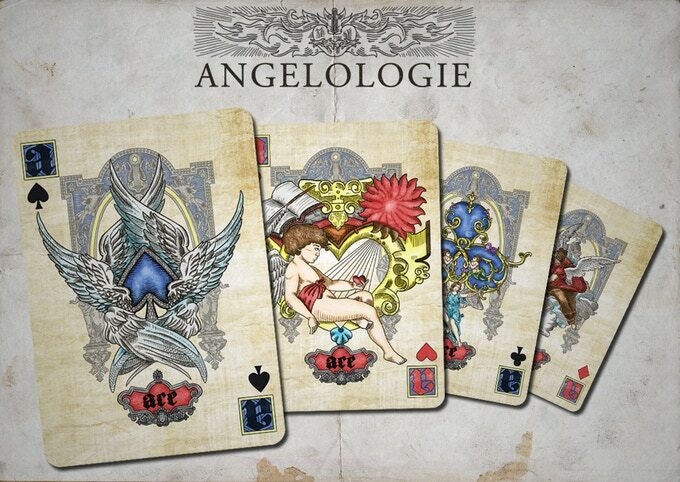 The artists keeps that old book style and that well-known colorful touch. 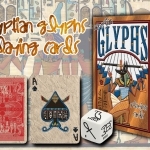 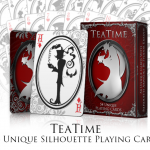 All the illustrations have been hand drawn and placed on the cards with an aged papyrus background. 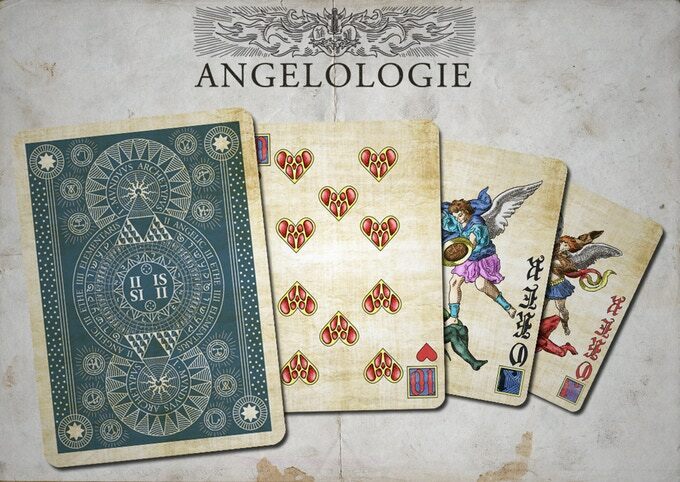 The back of the cards is full of symbols taken from different diagrams creating a captivating geometrical structure. 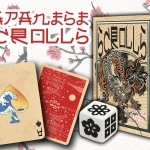 The printer will be chosen based on the goal reached and the number of decks produced in the project, being Make Playing Cards for a print run under 700 decks and LPCC for a higher print-run.